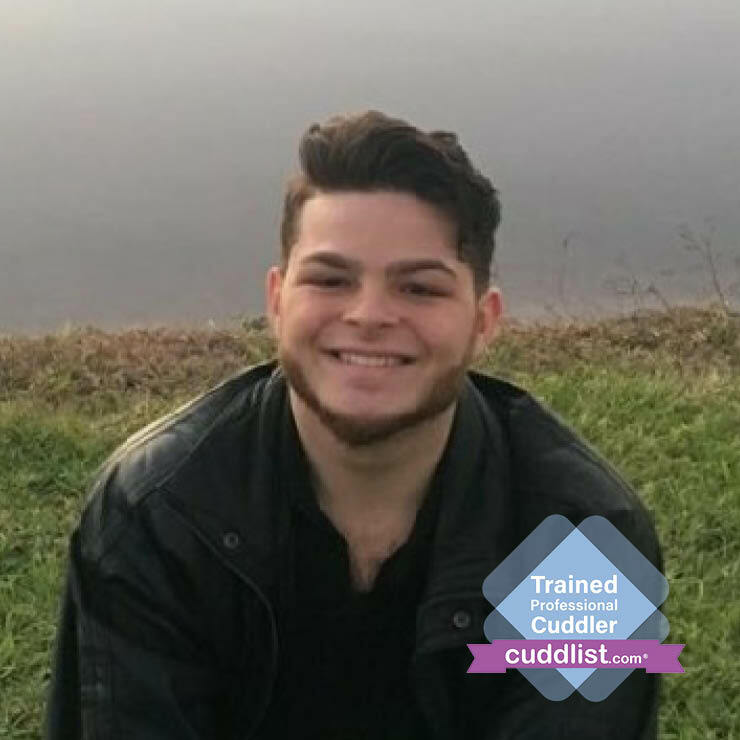 Want to cuddle with Jox? I might not be a very good writer but I have been told that I am an amazing hugger. I have been a big brother for over 16 years so I have a lot of practice being warm and gentle. Also, I have learned a lot about touching and the value of touch from my partially disabled grandmother. I learned how to be cautious, understanding, and patient every time I touched my grandmother. I bring all these qualities with me every time I touch someone. Furthermore, I have a lot of personal experience with abuse, PTSD, depression, loneliness, anxiety. Over the years I have fought to understand and conquer the day to day challenges and I hope all my experiences and what I have learned can help others. I like to start all my sessions with a short conversation ensuring that we both feel safe and understand what we are doing. I love learning about others and understanding the uniqueness of our thoughts so if you’re looking for an ear I have two and both are for you. My zip code is 19149 and I am willing to travel up to two hours as long as the session time is equal to or greater than the travel time. If you’re not sure if you’re more than two hours away just send me a close-by address and I will let you know. Payment: I accept Paypal or cash. I take a lot of pride in what I do and follow the code of conduct to the letter. Please read it and tell me what questions you have.